Royalmont Academy's teachers and staff are dedicated to creating a faith-filled environment each and every day. True to our mission, each staff member takes the education and formation of each student to the next level, always in His name. Our team prides itself on working closely with parents and each other to achieve a learning experience second to none. Each feels called to be at Royalmont and to continue to pave the path to the future through our program of Integral Formation. If you feel called to join our team, check out our available positions here. Mrs. Christine Gladden graduated from Xenia High School, Xenia, OH, in 2009 and from the University of Cincinnati in 2013, with a Bachelor’s degree in Education, with a focus on Math and Social Studies. From 2013-2016, she taught a combination of Math and Social Studies at Royalmont Academy to grades 5-10. For the 2016-2017 school year, Mrs. Gladden taught Math at Van Buren Middle School in Kettering and is now back at Royalmont to teach Social Studies. She is extremely excited for the start of all of her classes, especially continuing to serve as the 8th grade Homeroom Formator! The Haenni family has been in attendance at Royalmont Academy since 2003. 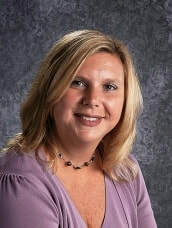 Mrs. Haenni’s experience in retail management and several years as Royalmont Academy Parent Association President led her to her current position as Administrative Assistant. She has been very active in volunteer and apostolic positions while raising her family, including her position as past President of the Catholic girls club at Royalmont called “Challenge.” Mrs. Haenni and her husband, Mark, have two adult sons, both Royalmont grade school graduates, a daughter who is attending Marian University in Indianapolis and a 10th grade son at Royalmont Prep. ​Mrs. Hefferan was born and raised in Mexico City very close to Our Lady of Guadalupe Basilica. She attended an all girl Catholic School where she earned her diploma in teaching English as a Second Language. She then received her bachelor's degree in Marketing from ITESM-CEM (a very prestigious university in Mexico). She was blessed to be able to continue teaching while attending college. 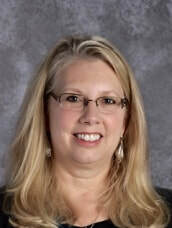 Mrs. Hefferan has taught several elementary classes and became a teacher trainer teaching subjects like speech, audiovisual aids, and teaching methods. She worked at Unilever as a brand manager until her husband was transferred to Cincinnati, Ohio. Having three daughters, she became a full time stay-at-home mom and a part-time Spanish teacher. She volunteered teaching Spanish at some after school programs at St. Michael's, St. Susanna, and Wyoming. She worked for International Language Plus from 2004 to 2015 as a Spanish teacher and translator. Being at Royalmont Academy is a privilege that allows her to help students learn her native language as well as some aspect of the Latin American countries. Her favorite religious quote comes from Our Lady of Guadalupe: "Am I not here, I, who am your Mother? Are you not under my shadow and protection? Am I not the source of your joy? Are you not in the hollow of my mantle, in the crossing of my arms? Do you need anything more? Let nothing else worry you, disturb you." Mrs. Nellie Jung graduated from Miami University with a B.S. in Mathematics and Statistics and a B.S. in Engineering Physics in 1999 and earned a Master of Systems Analysis in 2001. While in graduate school, she taught undergraduate Computer Applications classes and after graduation went into GE Aviation's Information Management Leadership Program. She was with GE for seven years where she managed IT engineering support projects and earned her Six Sigma Black Belt certification. Mrs. Jung served as the Cincinnati Pure Fashion Chair from 2009-2011, and, with her husband, Bill, has been a 40 Days for Life Parish Coordinator since 2008. She and Bill are also facilitators at Ruah Woods working with engaged couples. They have 5 children, three of whom have attended Royalmont. For the past three years, Mrs. Jung has homeschooled their children. Her favorite bible verse is Matthew 19:14 - "Let the children come to me, and do not prevent them; for the kingdom of heaven belongs to such as these." 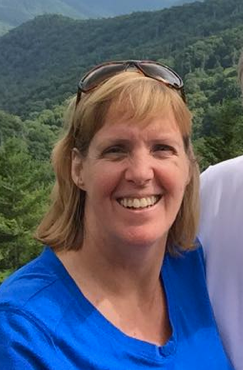 Mrs. Cathy Kilian is the new Intervention Specialist at Royalmont. She graduated from Otterbein College with a Bachelors degree in Education with a Reading endorsement. She graduated from Xavier University with a Masters degree in Special Education. She has several years of experience teaching at the elementary, middle and high school levels, and was an elementary classroom teacher, as well as a Title 1 Reading teacher. She is a 28 year resident of Mason and loves to travel to see her two new grandchildren. Father Kevin McKenzie is a Catholic priest and a member of the congregation of the Legionaries of Christ. Born in St. Louis, Missouri, he is the third of nine children. He began following God’s call to the priesthood at the age of twelve at Immaculate Conception Apostolic School in New Hampshire. On December 14th 2013, he was ordained a priest at the Basilica of Saint John Lateran in Rome. He loves writing, reading, ice hockey, helping run boys’ summer camps and weekend retreats, guiding pilgrimages to Italy and Ireland, art history, soccer, running, climbing mountains, hiking, cycling, fishing, story-telling, dark chocolate, photography, cooking, and above all, being a priest. Veronica's education experience began by teaching music and art at St. Rita School in Dayton. That soon expanded to teaching religion and earning a Master of Theological Studies. After a successful term as Technology Coordinator, writing grants for technology, equipping labs, and helping teachers find solutions, Murphy was promoted to vice-principal. That position involved maintaining the Catholic identity of St. Rita’s, overseeing the school curriculum, evaluating teachers, implementing the discipline plan, and developing a crisis management plan. Murphy earned her principal licensure and MS in Educational Administration in 2006 and became principal at St. Rita in 2008. In addition to managing faith formation, academic programs, and budgets, and fostering the professional development of teachers, she also worked with a consolidation taskforce and subcommittees from Precious Blood and St. Rita to merge the schools into Mother Brunner Catholic School. Mother Brunner’s success as a merged school can be attributed to Murphy’s leadership as principal, building teamwork in the school, and preserving the vision developed for the new school by the strategic taskforce. Mrs. Puglielli teaches Earth and Space Science, Physical Science, Biology, Chemistry, and Chemistry II (Organic and Biochemistry) in grades 7-12. She holds a Bachelors Degree from the University of Pennsylvania in Biology and Psychology and a Masters Degree from the University of Pittsburgh in Science Education. She also holds a professional teaching license from the state of Ohio. Before coming to Royalmont, Mrs. Puglielli taught Science for 9 years in Pittsburgh at Hopewell Junior High School as well as classes at the Community College of Beaver County. She and her husband have four children all graduates of Royalmont and one in the seventh grade. This is Mrs. Puglielli’s 8th year teaching at Royalmont. Mrs. Ryan, a Cincinnati native, graduated from Edgecliff College with a degree in Art and a minor in Theology, History, and Philosophy. She is currently one class away from obtaining a Master’s in Art. Mrs. Ryan has been teaching history, art, and art history for twenty-five years. Before she was called to be a lay teacher, she was a teacher in religious life as a Sister of Mercy. She also studied painting in Florence, Italy. She has extensive experience working with children and has established an amazing art program here at Royalmont. This is her fifth year at Royalmont and we have finally given her an art room with enough storage. Mr. Jim Schriml graduated from Indiana University with a Bachelors degree of science in physical education. He has 9 years of experience teaching grades K-8 and is currently the physical education teacher at St. Ann in Hamilton. He resides in West Chester with his wife Rebecca and three boys. He is looking forward to being a part of Royalmont Academy. 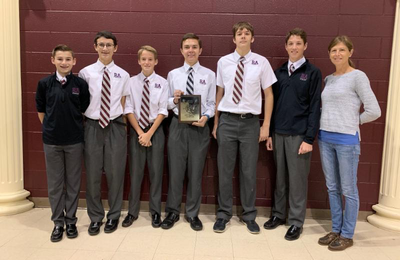 Mr. Schriml was recently named Outstanding Educator 2018 by Cincy Magazine! Mrs. Taney begins her second year as the Dean of Students at Royalmont Aademy. She received her Masters in Educational Leadership/Administration from Framingham State in 2004 and BS is in Early Childhood Education from the University of Cincinnati in 1991. Amy and her husband, Mike, have been members of St. Susanna parish in Mason since 1995. They reside in Liberty Township with their six children: Allison, Andrea, Madison, Macy, Mekenzie and Michael. Her two youngest children attend Royalmont Academy. The family enjoys attending UC Bearcat games and traveling. Amy takes peace in Psalm 46: "Be still and know that I am God." ​Dr. Randall Wolfe serves as an Artist-in-Residence in Music at the University of Dayton and is very happy to have the opportunity to teach music to the students at Royalmont Academy. Conductor of the West Chester Chorale, a summer choir of high school, college, and adult singers, he maintains a private piano and voice studio in Mason and serves as a choral music adjudicator for Music in the Parks at Kings Island. Director of the Cincinnati Boychoir for 22 years, he prepared the choir for performances with orchestras and opera companies, television, radio, and concert tours in 23 states and 11 foreign countries. Dr. Wolfe received his doctorate from the College-Conservatory of Music of the University of Cincinnati and taught in the public schools for six years. He has played as a service pianist with the Dayton Philharmonic Orchestra several times and has performed in venues from New York's Carnegie Hall to Washington, D. C.'s Constitution Hall. Mrs. Jessica Zoeller is in her sixth year of teaching after graduating from Norther Kentucky University with a Bachelors in Secondary English Education. Most recently, she worked at The Children’s Home of Cincinnati with 4th and 5th grade students as their case manager. She previously taught in Virginia at Saint John Paul the Great Catholic High School and Newport Central Catholic in Kentucky. She and her husband have two daughters, 3 months and 3 years old. Mrs. Zoeller will be the 6th grade homeroom formator and will teach 5th & 6th grade Language Arts, Social Studies and Theology. She is thrilled to be joining the formators at Royalmont Academy and looks forward to becoming part of the Royalmont community as a whole.